In the movie "Remember the Night", did Barbara Stanwyck actually play "At the End of a Perfect Day" on the Piano oder was the Musik dubbed? It sounded really nice. Was Barbara Stanwyck's Singen voice dubbed Von someone in the film: "This Is My Affair"1937? Did Barbara Stanwyck ever appear in a Western called "Glory" in which she was a horsewoman? Does anyone have a vid of Ladies of Leisure B&W 1930 starring Barbara Stanwyck and if so would Du please Upload it to YouTube oder let me know where I can find it. Thanks! As many moviegoers know, there have been numerous film and Fernsehen productions about the maiden voyage and sinking of the R.M.S. Titanic on April 15, 1912. The most famous production happens to be James Cameron's 1997 Oscar winning opus. However, I do wonder if there are any Fans who are aware that another Titanic movie managed to strike Oscar gold. I am a history nut. And one of my Favorit historical periods that I Liebe to study is the Antebellum Era of the United States. One of my Favorit topics from this period is the California Gold Rush. I also Liebe movies. But despite this love, I have been constantly disappointed Von Hollywood's inability to create a first-rate movie about Gold Rush. January 20th, 2014 marks 24 years since Barbara passed away. Barbara, we - the fans, miss you. 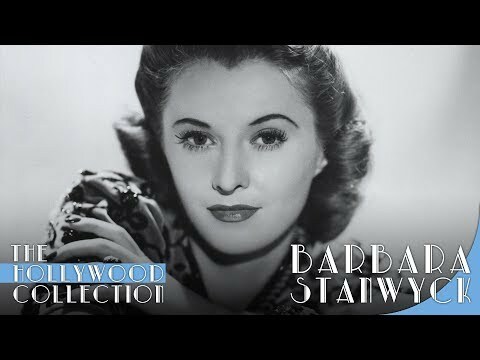 I'm marking the occasion with a link to a great new biography written about Barbara, a 1000 page plus beautiful, descriptive hard cover book called Barbara Stanwyck - Steel True - Volume One written Von Victoria Wilson. The thick volume, covering years from 1907 - 1940 has black & white Fotos throughout. I Liebe this book! An excellent reference regarding all Filme Barbara made as well as plays, radio shows and much more. We Liebe you, Barbara. Barbara Stanwyck was born on July 16th. She lives on...in the Filme and in our hearts. I'm happy to see her Fans are growing in numbers on this website! Barbara had an amazing imagination...she was able to visualize goals, scenes in life and place herself in those life scenes. Of course she was beautiful as well...and good to people. There are many other awesome qualities she had...and all these attributes came together in one person to create a legend. How do I Liebe thee, Barbara? Let me count the ways. Barbara Stanwyck is a legend. Mehr than that she personifies what is womanly, mysterious, glorious, imaginative, beautiful, strong, enduring, endearing, powerful, magical, fun, optimistic in life and in theatre. Not one to display theatrics oder uncontrolled emotions when accepting awards on stage in front of an audience, Barbara Stanwyck is a fine inspiration and role model for women. Hi everyone, just wanted to share a link to my new book on Barbara Stanwyck with you. It's called "Barbara Stanwyck: The Miracle Woman," and it's published Feb. 1, 2012. Which Barbara Stanwyck movie, co-starring Gary Cooper,is this scene from? will there erver be a Barbara Stanwick Bio? Is this pic really from Illicit ? "Liliand" - did Stanwyck star, sterne in such a film?